Once you have found the “one” and have made that significant, life changing decision to ask for her hand in marriage, the next inevitable step is to purchase “the” ring. So when it comes to purchasing an engagement ring are there any rules to abide to? Once upon a time spending 3 months of your salary on an engagement ring was considered appropriate. These days this idea has become much less the rule of thumb with more emphasis on women wishing their partners to spend an amount they’re comfortable with. We have clients with budgets of $2000 and others with more than most people would earn in a year. It is widely advised to take into consideration your personal position and the importance of the ring to her when setting the budget. Keep in mind this is a purchase you make just once and you will want the ring to be one you are proud to see on your partner’s hand! When deciding on how big to go it is important to remember “bigger is not always better”. Remember this ring is to be worn on her finger everyday, so considering her lifestyle is a good idea. For example, a ring with a large, protruding diamond is not necessarily the appropriate fit for a woman with an active lifestyle. The fine trend is full steam ahead and yes extremely fine rings are ‘fine’ for fashion jewellery but when it comes to an engagement ring we want them to look beautifully fine and delicate but be strong enough to be worn everyday. There certainly is a ‘fine’ line between fine and too fine. An engagement ring that is too fine is at risk of breaking or settings that are dangerously ‘fine’ will put your diamond at risk of falling out; every ladies nightmare. Does she love coloured gemstones? 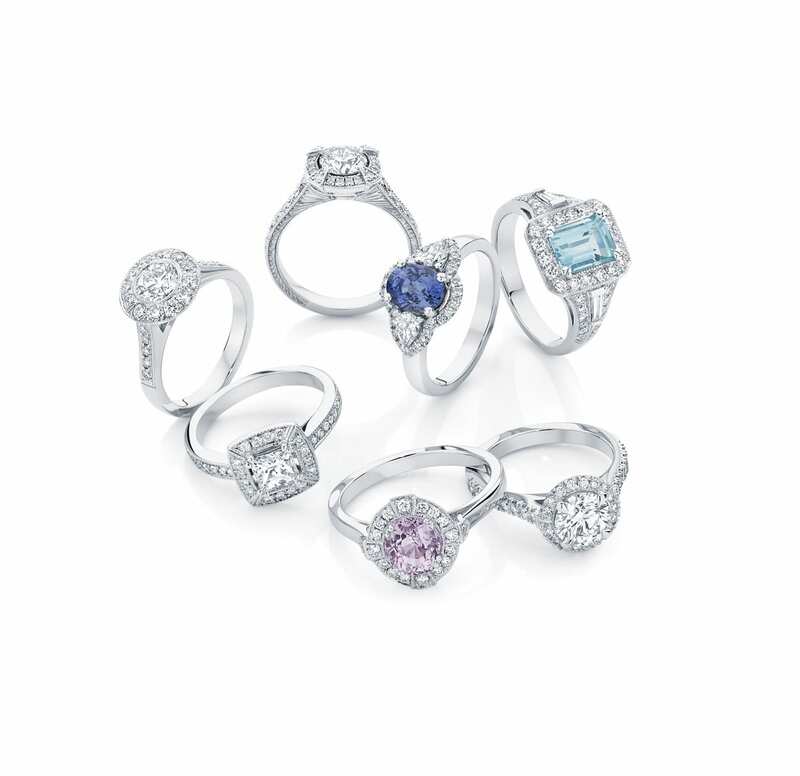 Suss this one out (if you can) before deciding on a coloured gemstone. The safe bet is a diamond, unless you are 100% confident that she loves a particular coloured gemstone. Metal… Yellow, Silver or Rose? The best bet with this is paying close attention to which coloured metal jewellery she already wears. If your partner wears only silver coloured metals such as white gold and platinum, it is a safe bet that either of those metals will be the right choice for her. Surprising her with a yellow gold engagement ring may not achieve the desired reaction.